Check out this little guy. This is Buckwheat. 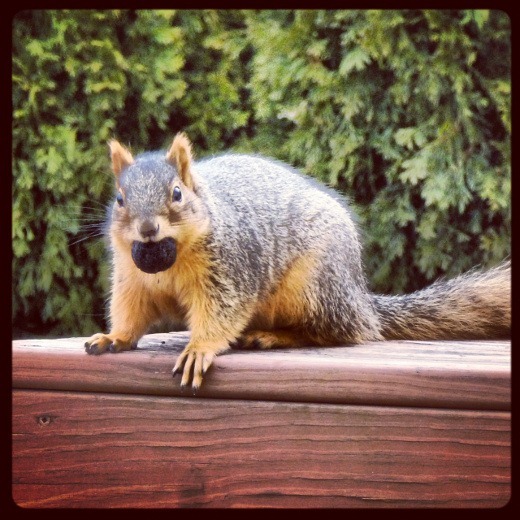 He is always scurrying around our backyard, and has a special spot in one of our trees where he likes to lay and rest. I captured this perfect candid shot of him last week on our deck. In other news, I’ve been baking! It’s no secret that I love baking cookies. It’s probably safe to say they are my favorite thing to bake! Maybe it’s the whole pre-portioned size thing. 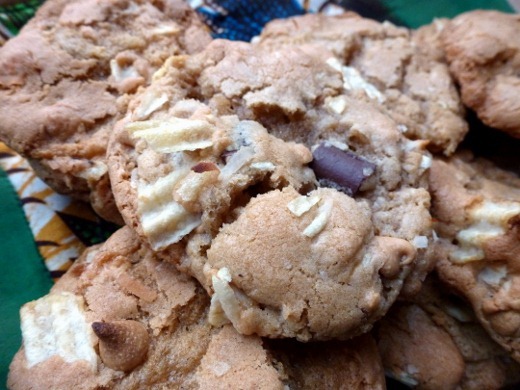 As a kid I was always looking for new cookie recipes to tackle – the more complicated, the better! 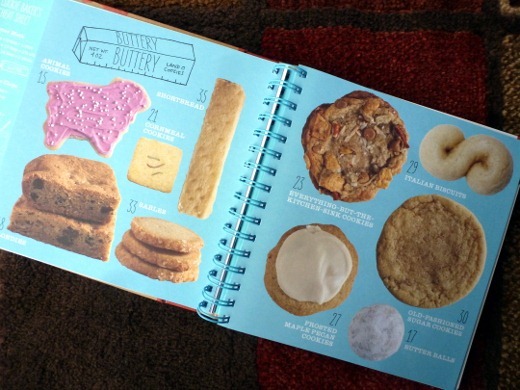 My aunt found the cutest and most perfect Christmas gift for me – a cookie cookbook! The Cookiepedia, in fact. It is just too cute inside. I just love poring over cookbooks. This week, I chose a recipe from the “Buttery” chapter. I do love me some buttah. 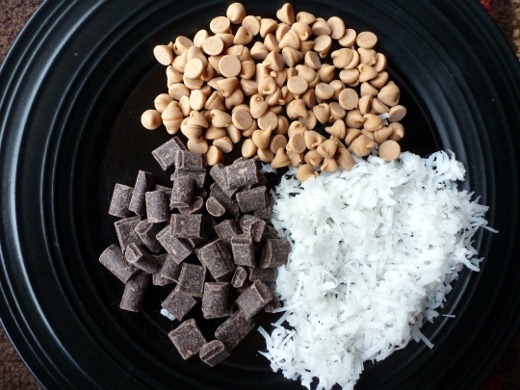 These were the “Every-But-The-Kitchen-Sink” cookies – which are highly customizable! Basically one cup of sweet and one and a half cups of salty mix-ins are added to the dough. 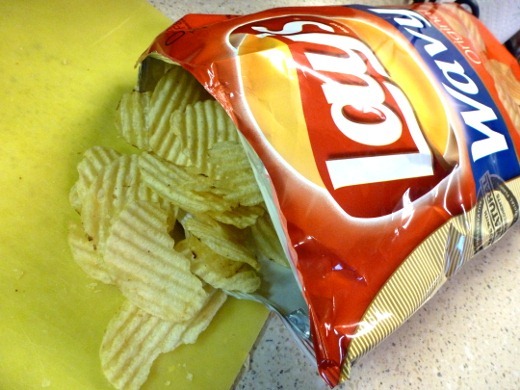 The author gives several mix-in suggestions – everything from chocolate to toffee to Cool Ranch Doritos to wasabi peas. Gettin’ a little cray here. 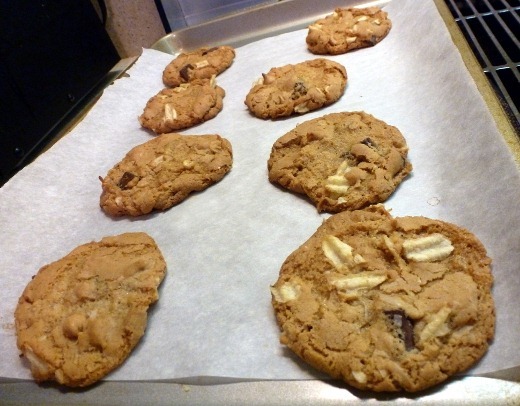 These made some big ol’ cookies, yo! They looked SO professional. I seriously constantly tell myself I should probably open a bakery or a restaurant or a café or something. Nom Nom Café? I would probably serve Roos Roast Coffee in a French Press, too. It’d be prettay dang legit. 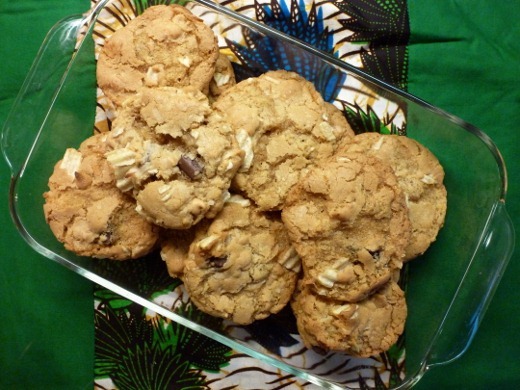 I also baked my cookies atop parchment paper, for the first time ever, per Cookiepedia’s suggestion, and I was a huge fan! There was no cookie stick-age to the pan, and cleanup was a breeze. The paper can also be reused for multiple batches. I have my eye on the French Macarons recipe next!! Because clearly I have been thinking about macarons since Paris. 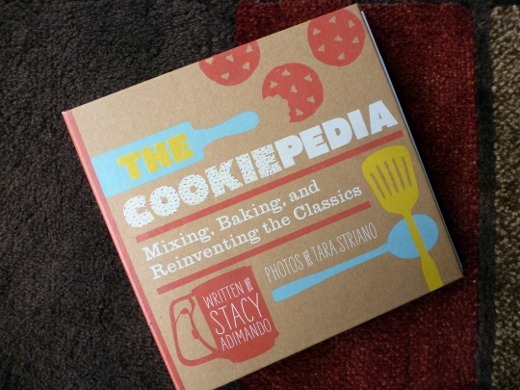 Recipe source: Cookiepedia – by Stacy Adimando. Those cookies look amazing! I have now added that cookbook to my wish list. 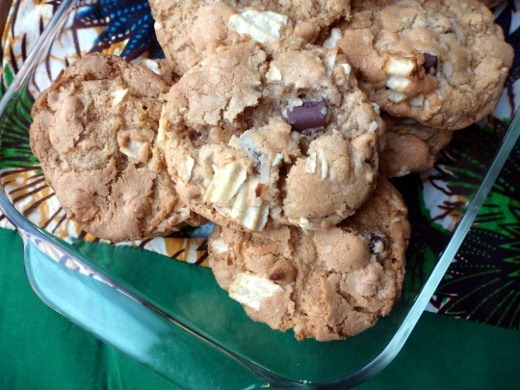 I agree on the cookie front–they are my favorite to make. I got a stainless steel cookie scooper for Christmas and want to use it for everything! « Ann Arbor Restaurant Week–Lunch at Grand Traverse Pie Co.